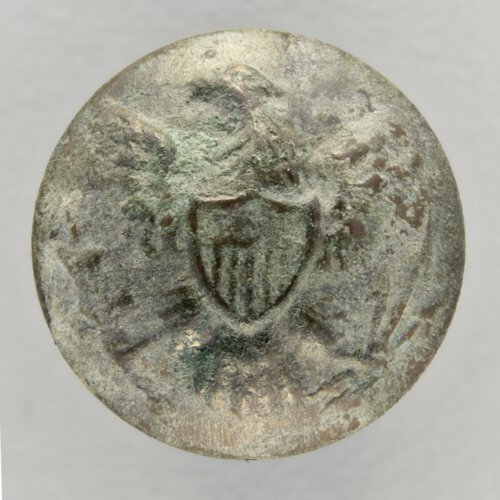 This General Service button was found near the Enlisted Barracks at Fort Wallace in Wallace County. he button is of a size to have likely been used on a jacket cuff. Excavations took place at the fort in 1997 by archeologists from the Kansas Historical Society.